Experience Box brings you this very unusual and unique team building concept in Southern Spain : a full day of fitness for your group. Our fitness staff is fully qualified and we provide all necessary insurances, event management and photography of the event to take home on a DVD. 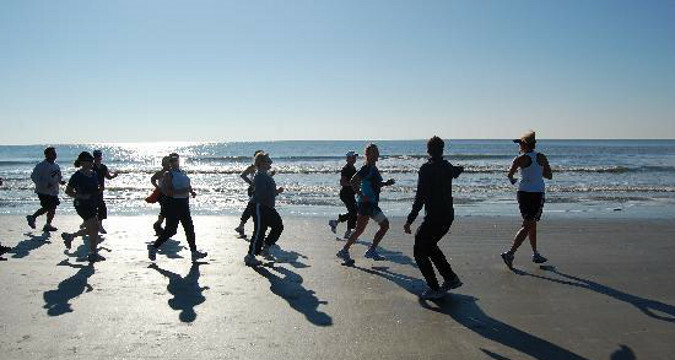 Days can be customized for your groups, according to your group's expectations, but in any case we will propose a challenging and original team building day where all participants will push their limits further and be motivated to change their lifestyle habits into more healthy behaviours. We offer the perfect formula for fitness; activity, relaxation and proper nutrition... All the elements needed for general wellbeing, good health and even weight management. Be original ! Contact us for more information on the Bootcamp day we could prepare for your group. The bootcamp corporate event make a very unusual sports activity for groups of 6 to 30 participants.